BELLEVILLE – Belleville has been named one of four finalists from across Canada for a $250,000 grand prize for community recreation projects. 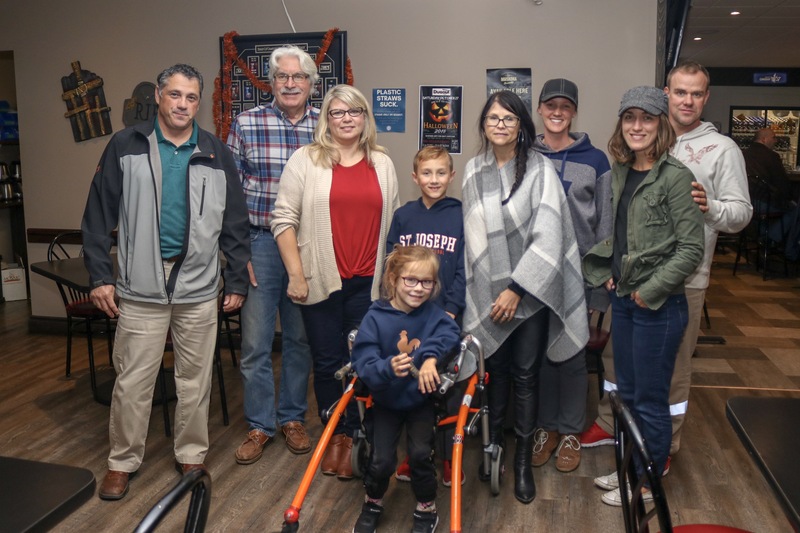 The city made the top four of the Kraft Heinz Project Play list for a plan to make the baseball diamond at Parkdale Veterans Park fully accessible. The winner is chosen by online votes from the public, with the announcement coming Oct. 28. The project, proposed by Belleville’s Challenger Baseball group, is called Field of Ability, and the plan is to make a ballpark that is completely barrier-free to give every child a chance to play. The current facility at Parkdale Veterans Park is a dirt field with little to no fencing. 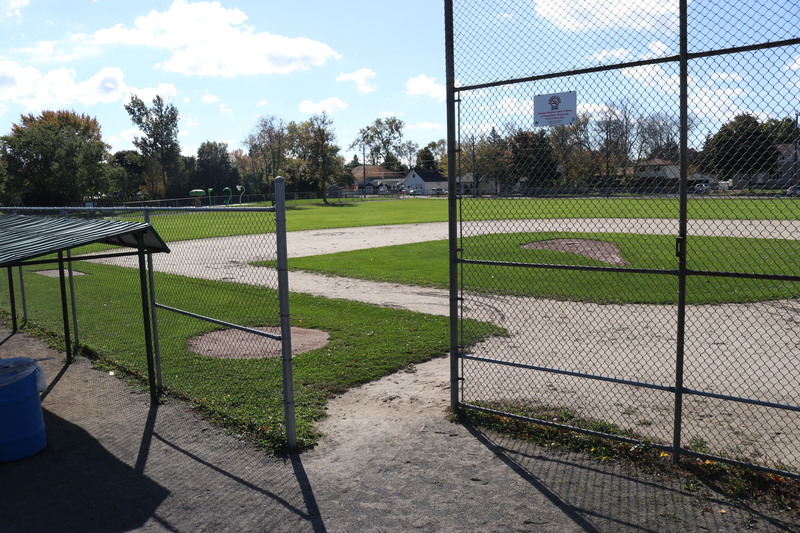 Kristen Whalen – whose daughter, Aurora, is a Challenger baseball player who uses a mobility device – agreed that that there a lot of problems with the Parkland field.Belleville’s accessibility co-ordinator Sarah Collins. “It’s either a sandpit or a mud bog, depending on the weather,” she said. “The wheels on (Aurora’s) walker get coated with mud and sand and dirt, and it just slows her down. We want every kid to be able to participate as fully and independently as they can. The renovations to the field would add full fencing, which would have the benefit of signifying home runs and also provide another level of safety. Belleville’s accessibility co-ordinator Sarah Collins, explained that some of the players are a flight risk, which means that without a fence their parents might not be comfortable having them participate. “Now, with a fully fenced field, they have that peace of mind that their child is not playing in an open field,” she said. But regardless of the field they play on, some kids may not always be able to play independently because of their disabilities. So the league pairs each child with an adult buddy to help them with tasks like running the bases, fielding and throwing balls. The new field will create opportunities for local business as well as an accessible park for kids to play in, the Field of Ability group says. Aside from the $250,000 investment if Belleville wins Project Play, the group has already raised over $150,000 in grants and fundraising for work at the park – money that will go to local businesses doing the work. Improvements to the park will be made even if the project doesn’t win the grand prize in the contest. On top of the money raised through ongoing local fundraising, each finalist in Project Play will receive $25,000 from Kraft Heinz. Belleville is competing against finalists in Calgary, Antigonish, N.S., and Shaunavon, Sask. You can review all the nominees and vote on the Kraft Heinz Project Play website. Voting started on Saturday and will finish Friday. The winner to be announced at 1 p.m. on TSN/RDS on Oct. 28. There is no limit to how many times a person can vote for a community, but you can only submit one vote at a time. “We need to make sure people know that when you go online and vote once that their job is not done – they need to vote again and again and get other people doing the same,” Newman-Chesher said. Kraft Heinz Project Play has been in existence for 10 years and has awarded over $2.6 million to community projects.